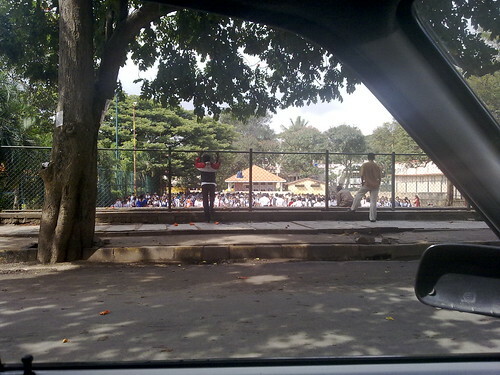 One Morning At School, originally uploaded by amulya. Found this particular scene as I was driving to work. The sound of the drums and the trumpets reminded me so much of those early mornings about 10 years ago, when we would stand on the field in crisp white dresses and almost-white (or chalkboard whitened) shoes, practising the parade for Republic Day.